Redwood City is a middle-class enclave in the San Francisco Bay area located on the San Francisco Peninsula in San Mateo County. With an approximate population of 82,000 residents, it is the third largest city in the county and it is considered to be one of the region’s top commercial hubs in terms of restaurants, historical structures, museums and nightlife. Known as one of the primary engines for growth and innovation in the United States, Silicon Valley is a regional heavyweight that influences all of the cities within its borders, including Redwood City. Some of the better-known, large employers include Oracle, Evernote and Electronic Arts. You might also enjoy knowing that DreamWorks animation department has been located in Redwood City since 2002. In terms of high tech employment and new, emerging technologies, Redwood City is a leader in the region. This is reflected in the comfortably upper-middle-class lives of its residents, whose salaries tend to average upwards of $77,000 per annum. 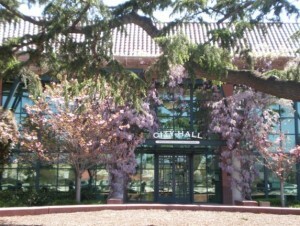 It is also reflected in the way that Redwood City is an essential part of an interconnected Bay Area. The city is home to CalTrain’s (commuter rail system that runs from San Francisco down through San Mateo County) sixth busiest station, which averages over 3,000 riders a week. Redwood City’s transportation ethos takes a page out of Silicon Valley’s environmentally conscious handbook as well. The city boasts 18 bike racks, an innovative Bike Share program, and several other alternative options to commute throughout the entire city. Downtown Redwood City is packed with mouth salivating, hole-in-the-wall ethnic eateries. There are cheap and delicious artisanal coffee shops and innovative gastropubs that have gripped the attention of its peninsula residents and San Franciscans alike. Local Mexican restaurant ‘La Viga’ has been drawing in diners with discerning palates to sample specialty plates like coconut prawns and ceviche since its inception. The downtown area hosts several events a month that are sure to delight people of all ages. Some of these include Art on the Square, where local artists put their masterpieces on display for people observe and purchase. Other popular events include children’s concerts from many popular acts such as the Wiggles, and various festivals such as Magic Lantern Light Shows. Redwood City’s historic courthouse has been revitalized in the past decade, and it represents the bridge from the city’s cattle grazing and wharfing past to its embrace of the nation’s technologically driven future. The city also has the only active deep-water port on the San Francisco Bay’s south shore. A feature that offers both economic benefits to the town along with plentiful entertainment and leisure time options for its residents. Redwood City is a wonderful place to raise a family, away from the hustle and bustle (and astronomical rents) of San Francisco. Yet, close enough to enjoy the splendors of urban life. The city’s diverse communities and strong neighborhoods are a testament to the will and vision of its local leadership — with 29,000 plus housing units and a sunny economic outlook, Redwood City is constantly expanding with the construction of new neighbors. 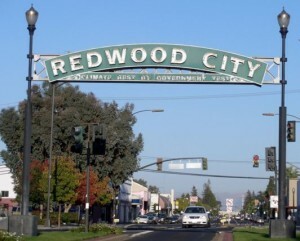 If your looking for a place to raise your family or continue your working life in a vibrant and progressive city, then Redwood City is where you need to be. Combine the small town feel with a mixture of excellent retail shopping, endless entertainment options and outstanding cuisine and your left with the perfect place to reside and call home. Want to know more about Redwood City and its local real estate market? Contact Me Here so we can schedule a appointment and get you the information you need to make an educated decision on buying a home in beautiful Redwood City. 5 Reasons You Should Move to San Mateo County Now! My San Mateo County Realtor © 2019. All Rights Reserved.